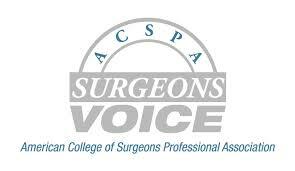 Welcome to the SurgeonsVoice Advocacy Center! The Pandemic and All Hazards Preparedness Act (PAHPA) was created to improve the nation’s response to public health and medical emergencies. Stop the Bleed in Schools Legislation in House Committee Tuesday! Bariatric Surgery Coverage Legislation Advances in the Senate. In light of growing evidence demonstrating a shortage of general surgeons, the ACS believes that more accurate and actionable workforce data is necessary to determine exactly what constitutes a surgical shortage area and subsequently where these areas exist. The American College of Surgeons (ACS) and the Commission on Cancer (CoC) strongly believe educating patients and providers on the benefits of palliative care has the potential to significantly improve the quality of life for patients and their families during times of serious and complex chronic conditions. The American College of Surgeons (ACS) and the Commission on Cancer (CoC) support the Removing Barriers to Colorectal Cancer Screening Act (H.R. 1570/S. 668) which would eliminate an unintended cost barrier for Medicare beneficiaries to life-saving colorectal cancer screening. The American College of Surgeons (ACS) and the Commission on Cancer (CoC) have been strong advocates in the fight against cancer and securing additional cancer research and prevention funding.